Also known as Baroda, Vadodara is one of the most important cities of West Indian state of Gujarat. Located on the banks of River Vishwamitri, this city was an erstwhile princely state, which boasts of a rich historical past. Dotted with a number of tourist attractions, this city is visited by a number of holidaymakers and business guests every year. Famous as the cultural capital of the state of Gujarat, this city offers a lot to its visitors. 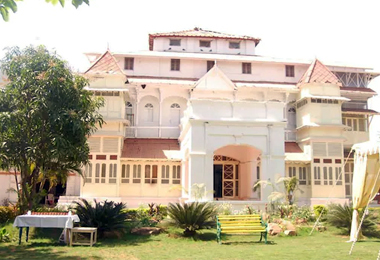 In its due course of history, its rulers had built a number of forts and palaces, which now have been turned into heritage hotels in Vadodara. These hotels are known for offering impeccable hospitality services and being laden with world-class facilities. Like all the other heritage hotels in Gujarat, these properties have an amazing interior as well as exterior and are placed in a serene ambiance. Most of such hotels are situated close to a number of city attractions. Heritage Hotels of India has a list of a number of such hotels so that during your visit to Vadodara, you can easily book a room.